#2 Best Lock Pickers in Vancouver – our locksmiths specialize in emergency work and spend hours a day picking locks. #3 Most Locksmith Service Vehicles in the Lower Mainland – this means we have more locksmiths on the road and ready to service you at a moment’s notice. #5 Fully licenced, bonded and insured. Many locksmiths in the Vancouver/lower mainland area are looking to cut corners and reduce their accountability. Ask your locksmith if they are fully licenced, bonded and insured – like we are. #6 Reliability, accountability and trust. 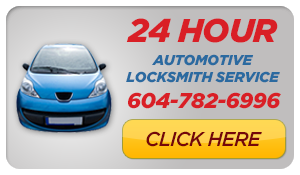 We are the largest locksmith company in BC. We have more locksmiths available and on the road than any other company. When you call Mr. Locksmith, you speak directly with the technician. When you book your job you know exactly who will show up, when, and how much it will cost. #7 We’ve seen it all – Did your cat lock you out? Was your business broken into? We’ve seen it all, we’ve learnt from it, and we pass that knowledge on to you. Check out our professional locksmith blogs and our videos on YouTube. #10 We really are the best! – All our locksmiths have graduated the Mr. Locksmith training program. Our training program provides hands on training guided by master locksmiths. This program vastly exceeds government training programs – so our locksmiths literally are the best.